If you're looking for more optimism and happiness in your life, partake of the uplifting and refreshing benefits of directing praises to the Lord through these conveniently short prayers of praise. These are read by renowned Christian radio personality Simon Peterson, whose warm international voice appeals to audiences worldwide. 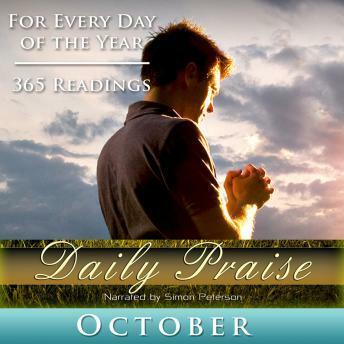 These daily prayers make a fantastic collection for the month of October.